Down Syndrome Association of NWI, Inc. : Who We Are : What is Down Syndrome? Down syndrome is the most common chromosomal anomaly, occurring approximately once in every 691 births. It occurs in all races and at all socio-economic levels. The condition was identified by a 19th-century English physician named John Langdon Down (it was simply his last name). Down syndrome is part of more than 350,000 families in the United States. 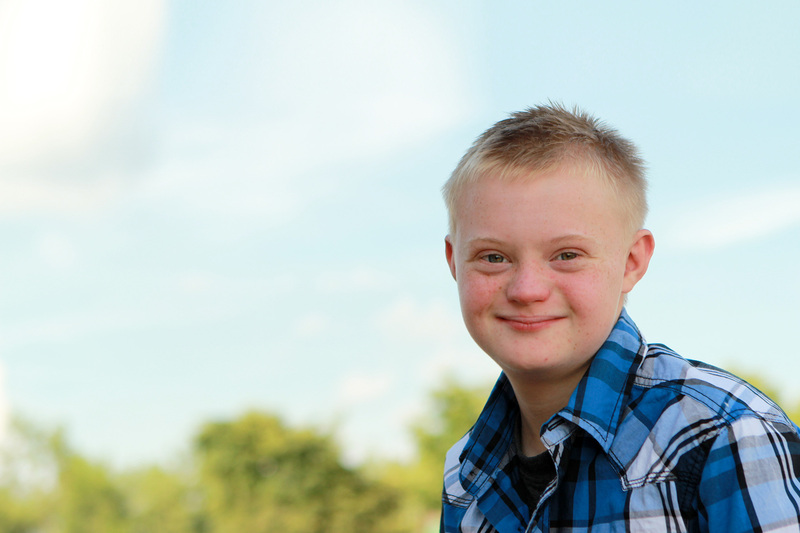 Down syndrome is not caused by anything that either parent did before or during pregnancy. 80% of children born with Down syndrome are born to women younger than 35 years. People with Down syndrome are active participants in educational, vocational, social and recreational community activities including sports, camping, music and art programs. Adults with Down syndrome have jobs and may live in group homes; others live independently and many do marry. Some individuals with Down syndrome have their license and drive a car. Most people with Down syndrome have IQs that fall in the mild to moderate range of cognitive delay. Children with Down syndrome should be included in the social and educational life of the community. Individuals with Down syndrome are people first. The emphasis should be on the individual, not the disability. For example: a baby, child or adult with Down syndrome, not ‘Down syndrome child’ or ‘Downs’ baby’. Dr. John Langdon Down provided the first formal description of the syndrome and therefore no possessive is used. The ‘s’ in syndrome is not capitalized. Research for Down syndrome is making great strides in identifying the genes on chromosome 21 that cause the characteristics of Down syndrome. Scientists now feel strongly that it will be possible to improve, correct or prevent many of the problems associated with Down syndrome in the future. There are currently 400,000 individuals diagnosed with Down syndrome in the United States. With the increase in life expectancy, this number will only grow.